Rococo costume 18th century. Noble Men in court dress. Home » Rococo costume 18th century. Noble Men in court dress. Rococo costume. 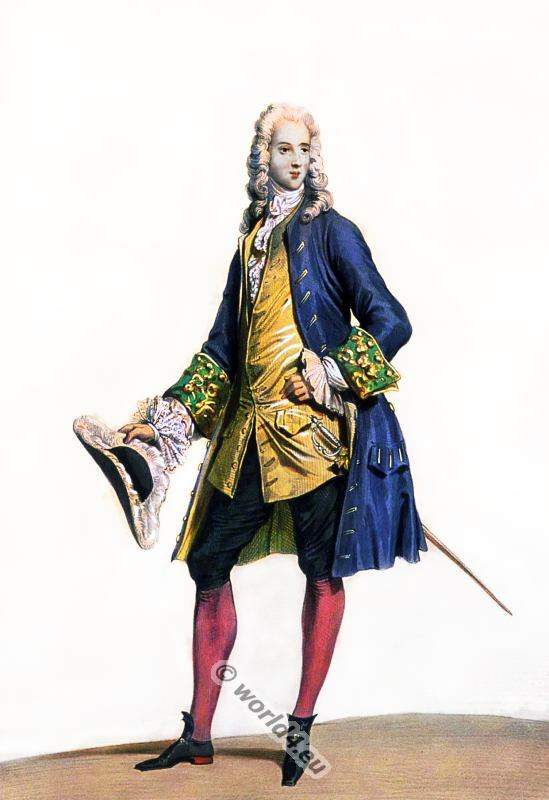 Men’s Fashion of the time of Louis XV. 1750. Costumes historiques de ville ou de théatre et travestissements. Author: Achille Devéria and José Domínguez Bécquer. Publisher Paris: Goupil et Vibert 1831. Publisher London: Charles Tilt 1839. Printed by: Lemercier & Cie. This entry was posted in 1750, 18th Century, Court dress, France, Nobility, Rococo and tagged Allonge wig, Costumes historiques de ville ou de théatre, Rococo fashion on 10/5/13 by world4.